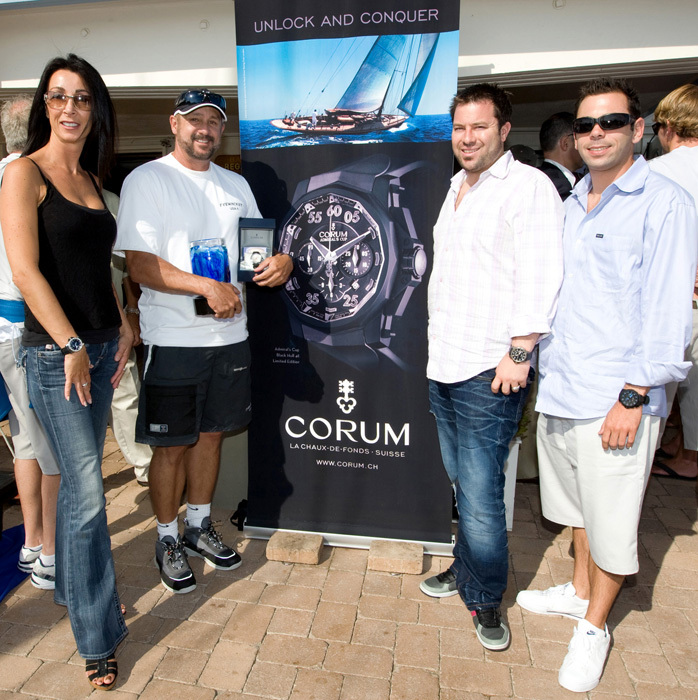 Continuing Corum’s long standing tradition of supporting sailing events, this past weekend, Corum came out to once again support Hoag Memorial Hospital of Newport Beach, California, and the 2009 Invitational Regatta for the magnificent Hoag Cup. The June 12-14 biennial event, organized and hosted by Hoag Hospital and the Balboa and Newport Harbor Yacht Clubs benefits the Hoag Heart and Vascular Institute. This year’s event brought together top caliber yachts, including some of the fastest canting keelers, off-shore racers, over 50 feet in length, along with Transpac 52 Class boats, for the three-day sailing competition in the Pacific Ocean, off the coast of Newport Beach, California. Five races were planned for Friday, Saturday and Sunday on windward-leeward courses close to shore. Numerous social activities were also planned utilizing some of Newport Beach’s finest facilities. Hoag Hospital Foundation is the event’s overall manager and also it’s beneficiary. Newport Harbor Yacht Club (NHYC) and Balboa Yacht Club (BYC) combined their resources to manage the races and on-the-water activities. The event managed to raise over $200,000 this year. 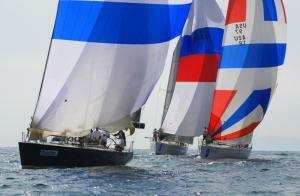 The proceeds will be added to the more than $700,000 raised during the Regattas in 2005 and 2007. The weekend concluded with the awarding of the prestigious Hoag Cup, immediately following the conclusion of the racing on Sunday. The overall winner was Pyewacket, a Santa Cruz 70, owned by Roy E. Disney, who is currently recovering from surgery, and was instead skippered by his son, Roy P. Disney, who accepted the trophy and a Corum Admiral’s Cup watch on behalf of the Disney family. “Throughout its history, Corum has supported regattas as well as philanthropic and humanitarian actions through various foundations, and we are delighted to continue our association with the Hoag Invitational Regatta and to support Hoag Hospital. This event is a world-class event with a great cause at heart”. Since its inception in 1955 in La Chaux-de-Fonds, Switzerland, Corum Swiss Timepieces has taken pride in being a refreshingly different and forward-thinking Swiss watch manufacturer. Focusing on four key pillars – Admiral’s Cup, Romvlvs, Corum Bridges and Artisans, Corum Swiss Timepieces pursues new horizons with the spirit of adventure and distinction that has always been the key to its success. The Admiral’s Cup line is the face of Corum’s sporty side. Since 1960 it has been attracting watchmaking enthusiasts with the iconic shape of its twelve-sided case and the nautical pennants displayed on its flange. Corum has long been bound to supporting sailing events, and named its Admirals Cup collection after the international regatta. The collection is regularly supplemented with models as sleek as they are technically advanced. The Admiral’s Cup Black Hull 48 houses Caliber CO-753, an automatic-winding mechanical chronograph movement chronometer-certified by the COSC, the ultimate sign of reliability and accuracy and has a 42-hour power reserve. The 12-sided case is made of titanium, chosen for its lightness and hardness, and covered with black PVD. Its imposing 48-mm diameter speaks of its power. It has locking pushbuttons thanks to an exclusive lockout system. These buttons frame a crown made of the same material and engraved with the CORUM key. A black rubber bezel surrounding the convex glareproofed sapphire crystal protects the upper part of the dial, while the screw-down case back, also of black titanium, is decorated with the Admiral’s Cup trophy. The minute numerals and the chevrons on the dial are covered with a black luminescent material. Assertively placed at the center of the dial, with the CORUM key as a counterweight, the chronograph second-hand is covered with deep black lacquer. The small chronograph minute and hour counters and the small second-hand at 3:00, 6:00 and 9:00. The date is displayed in a window at 4:30. On the flange, another symbol characteristic of the collection, 12 nautical pennants mark the hours. The black vulcanized rubber strap has a pin buckle made of titanium treated with black PVD and engraved with the brand name. The Admiral’s Cup Black Hull 48 is guaranteed watertight to 300 meters. The legendary Admiral’s Cup lives on in this sports chronograph, built for extremes, which embodies the brand’s athletic side. A monochrome esthetic for the brand’s iconic model. Hoag Memorial Hospital Presbyterian is a 498-bed, not-for-profit, acute care hospital located in Newport Beach, Calif. Fully accredited by the Joint Commission on Accreditation of Healthcare Organizations and designated as a Magnet hospital by the American Nurses Credentialing Center (ANCC), Hoag offers a comprehensive mix of health care services, including Centers of Excellence in cancer, heart and vascular, neurosciences, orthopedics and women’s health. National Research Corporation has endorsed Hoag as Orange County’s most preferred hospital for the past 13 consecutive years. And for an unprecedented 13 years, residents of Orange County have chosen Hoag as the county’s best hospital in a local newspaper survey.